9 inspiring Nature Centers that will take your breath away! Nature centers! These wonderful places are great for children and "children-at-heart" of every age. Where else will you find so much fun and learning packed into one place? We have highlighted a few amazing nature centers across the country that have some truly unique things to offer and that we would love to visit. Count yourself lucky if you’re able to visit any of these locations this year and explore the natural world. From Alaska to Florida, from the East Coast to the West, there’s something at these nature centers for everybody. Some of them offer adventure, some of them focus on history, and some have unique things you can’t find anywhere else. And if you can't get to any of these nature centers, discover one of the other great ones in the local area and explore the beauty of nature around you! 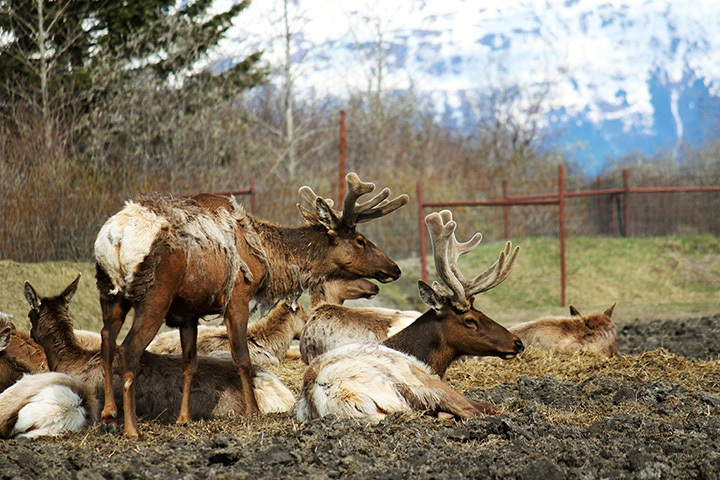 The Alaska Wildlife Conservation Center in Gridwood Alaska is an incredible place where you can get up close and personal with bison, elk, bald eagles, and other Alaskan wildlife in a safe and controlled environment. There are ample opportunities to learn from the Conservation Center’s staff and even interact with the animals, including bottle feedings of baby animals and a rambling reindeer named Sven. Children under 12 get in free, and everybody can enjoy the gift shop which includes wool shaved off of the Center’s own bison! The Remington Nature Center in St. Joseph Missouri is a classic nature center with a real focus on how the local community interacts with their environment. Live beehives and fish tanks are complimented by a huge collection of genuine animal pelts and a long hallway depicting how mankind has changed and grown in the Missouri River Valley.Â Plus, you probably won’t find another nature center with an exhibit containing over 200 examples of barbed wire and a detailed examination of how its invention changed the relationship between man and nature. Read more. If you visit the Antelope Valley California Poppy Reserve in LancasterÂ you might just think you’ve wondered into Oz. The Poppy Reserve has eight miles of trails on the edge of the Mojave Desert, and the flowers here will do anything but put you to sleep! With a knowledgeable staff that can tell you everything you could possibly want to know about the wildflowers and only a small parking fee, this is one nature center nobody should miss. Even better, if you buy a day pass you can use it for admission to any other California State Park. The Daggerwing Nature Center in Boca Raton, Florida has an impressive visitor’s center packed with live animals and interactive exhibits. The center’s employees are also doing real science, so you know everything is up to date. But the real attraction is the chance to see the Center’s namesake, the ruddy daggerwing butterfly, out in its natural habitat by strolling the center’s boardwalks over the Florida swamp. Expect to see plenty of other native flora and fauna from their observation tower, including ospreys and alligators! Learn more. Bowling Green Kentucky is home to the spectacular Lost River Cave Nature Center. It’s not every day that learning about nature involves kayaking on an underground river! That’s right, guided tours where you paddle yourself around are available, as well as a more leisurely powerboat tour. While most of the activities are centered around exploring the caves by boat or on foot, if you’re claustrophobic Lost River Cave also offers a Nature Trading Post and an exhibit dedicated to the wildlife in your own back yard. Find out more. 7. Rock Creek Park Nature Center and Planetarium, Washington, DC. Not all of America’s great nature centers are technically in the states. The Rock Creek Park Nature Center and Planetarium is in Washington, DC. From its location in the nation’s Capital, Rock Creek offers bilingual exhibits and tips on low-water gardening. Live animal exhibits are complemented by a planetarium and guidance for exploring all 2,000 acres of the District of Columbia’s largest park. And all of this is completely free! The Verdi Community Library and Nature Education Center in Verdi, Nevada sits between two of the most beautiful landscapes in the country: the Sierra Madre Mountains and the Great Basin Desert. Since it is located in a “transition zone” wildlife from both regions can be found in the area and the Verdi Center is fully equipped to help you understand the unique ecology. Sweeping vistas surround anybody fortunate enough to explore the center’s hiking trails, a real must see. Read more. Great nature centers can be in some of the most unexpected places. Take the Greenbelt Nature Center for instance. It’s located on Staten Island in New York City, although you can scarcely tell that The City That Never Sleeps is all around you. With 3,000 acres of forest and park to explore, the Nature Center is a perfect jumping off point, offering hikes with official Greenbelt naturalists and trail maps as well as brand new interactive exhibits. For millions of people, this isn’t just one of the best nature centers in the country, but one of the most accessible, especially since access is completely free! Learn more.